The UAAP and NCAA champions finally met on the hard court after their respective collegiate seasons. 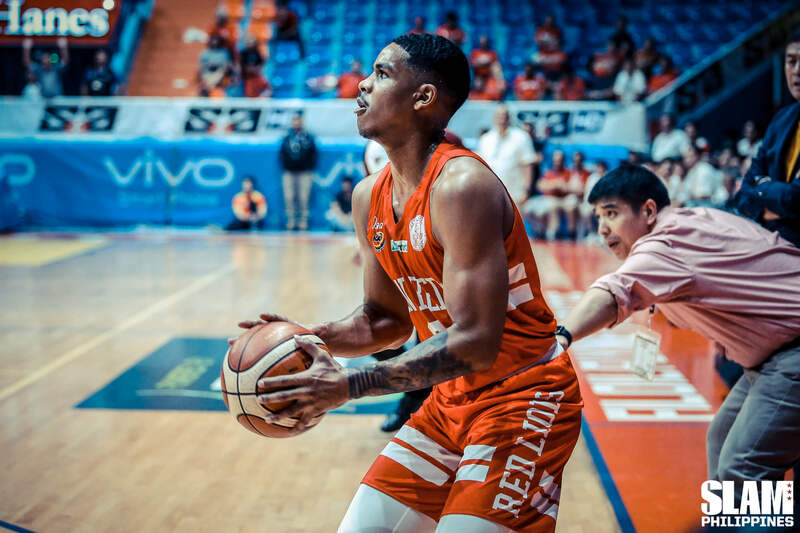 The Ateneo Blue Eagles and San Beda Red Lions clashed in a best-of-three semifinals series to determine who would advance to the PCCL Finals. The Blue Eagles survived the battle against the Red Lions and eventually took home the PCCL Championship. Ateneo unleashed their young talent in the series while San Beda showcased their new-look team. 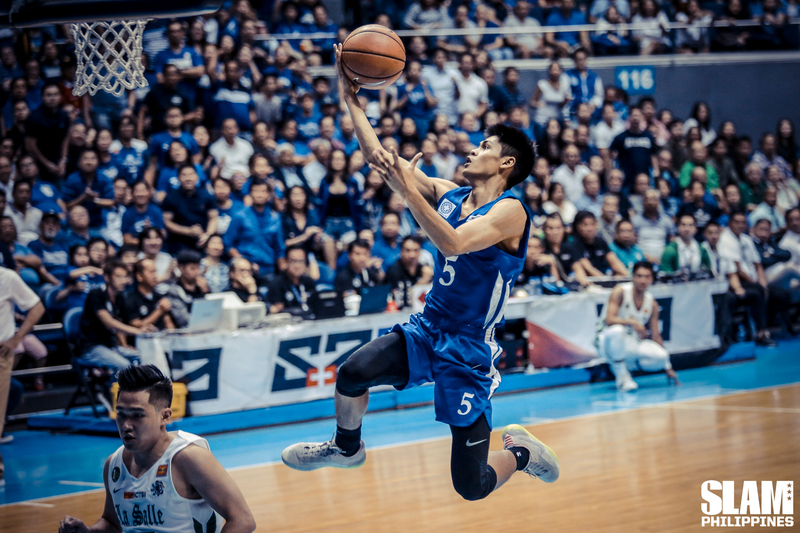 Depth in the center position has been an issue for the Blue Eagles ever since the end of the Five-Peat. Gone were the days of having three solid bigs unlike before, where Greg Slaughter, JP Erram, and Justin Chua all provided solid minutes as fives for Coach Norman Black. It hasn’t changed up to today, with only Isaac Go and Angelo Kouame as legitimate centers for the Blue Eagles. But as they say, quality over quantity. Whatever Ateneo lacks now in terms of sheer numbers, they make up for with how good Go and Kouame have been for them. Kouame is growing into a real focal point for the Blue Eagles. He may have games where he gets over zealous, but his length, size, and defense will always be there. You can’t teach a person how to be a seven-footer. Kouame is one, and he continues to use these tools well. Watching him dominate in the PCCL was no surprise. It was Go who caught the eye of a number of fans. It started with his 28-point eruption during Game 2 of the series, where he made seven threes in the process. Who would have expected Go to be THIS good? He was viewed to be a solid big man at best. Right now, he looks like a legitimate stretch five, who could even play the four at times beside Kouame when need be. Imagine that. Depth at the center spot, especially moving forward after Season 82, will be a problem for the Blue Eagles. But in the present, despite the lack of names, it doesn’t matter. This new GoUame (shout out to @boogiemistah on Twitter for this) combination is fun to watch, and they’re arguably the best big man duo in college basketball right now. No one knew what to expect from the San Beda Red Lions in life after Robert Bolick and Javee Mocon. They lost not just their best creator in Bolick, but also one of their most versatile forwards in Mocon. And honestly, there’s still no concrete answer of what to expect from these Red Lions. But if there’s something to watch out for moving forward, it’s the combination of James Kwekuteye and Clint Doliguez in the wing position for the Red Lions. Kwekuteye already had flashes of brilliance last season, showcasing tremendous athleticism as a two-way option for the Red Lions. But in his brief run in the PCCL, he showed flashes of taking over games to pair with his usual brilliance on both ends of the floor. He could realistically make a leap from role player to main guy next season. Doliguez has been branded as a spark plug ever since his days with Hope Christian High School, and he’s played the same role even with the Red Lions. He continued to show the same in the PCCL, but with some added spice. There were spurts where he’d create plays for the Red Lions, while showcasing more willingness to score rather than putting all his energy on the defensive end of the floor. There will be stretches where Bedans can’t help but murmur to themselves, “Miss na namin sila Bolick at Mocon.” That’s understandable, given the sheer talent level they lost to graduation. But Kwekuteye and Doliguez give fans some hope. What they bring is different from whatever their seniors had, but it’s a combination that’s definitely going to be something to watch as the team moves forward into next season. It would be natural to assume that losing Bolick and Mocon was the end of an era for San Beda, but really, how many times have people made that same mistake? People thought the end of Beda was near when Art Dela Cruz, Baser Amer and Ola Adeogun left. That didn’t happen. San Beda wound up winning three straight rings after their loss in the 2015 Finals. It’s difficult to believe San Beda will experience some large drop-off despite losing Bolick and Mocon. Donald Tankoua will likely have a memorable final run for his final year this upcoming Season 95. The aforementioned Kwekuteye and Doliguez are going to be electric. Evan Nelle looks primed to make a leap. Calvin Oftana is slowly emerging into a key player for the Red Lions. 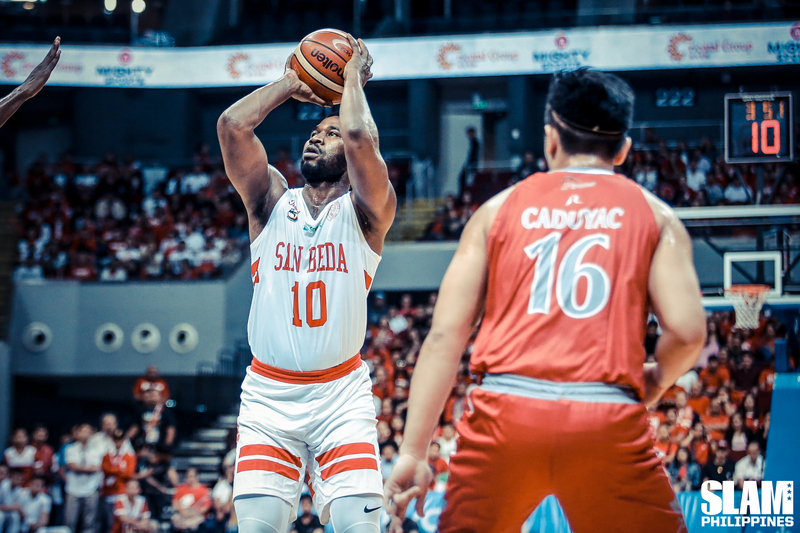 Death, taxes, the San Beda Red Lions finding ways to remain as a championship contender. This is a program that simply keeps developing talent, no matter who they lose to graduation. They are simply the ultimate inevitable in the NCAA. Here’s something most Ateneans know, but refuse to accept: the Blue Eagles are facing quite the loss of talent after Season 82. For the last three years, Ateneo’s core has been made up of the following players: Thirdy Ravena, the Nieto twins, and Isaac Go. After Season 82, they’ll be all gone with a snap of a finger, as graduation and the PBA beckons for a big chunk of the Blue Eagles. The question that lingers in some fans’ heads; what’s next for the Blue Eagles? The PCCL tournament gave us some answers to that question. Angelo Kouame has three years of eligibility left after Season 82, and he’s only getting better. BJ Andrade was a delightful surprise during the tournament, as he grabbed a spot in the Mythical Five thanks to the energy he showcased on both ends of the floor. SJ Belangel is slowly figuring out how to run a college team. Gian Mamuyac is starting to get better as a creator. Jason Credo and RV Berjay had spurts of excellent play. 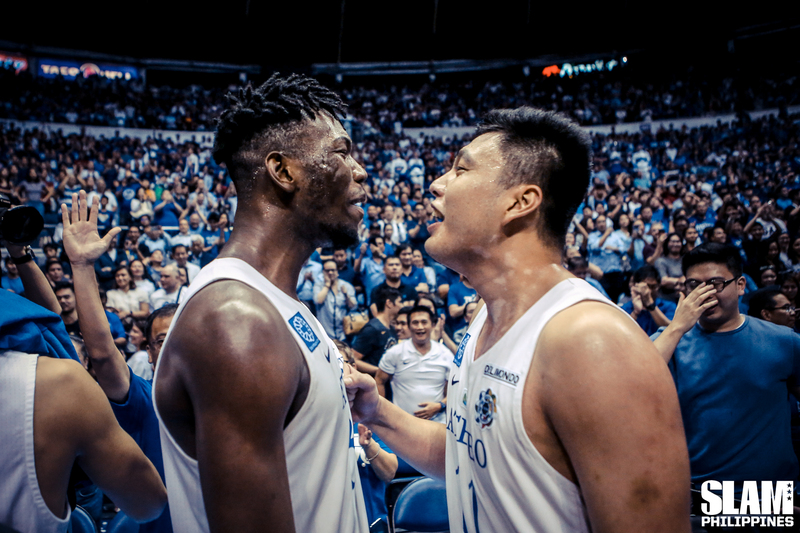 It’s a question that will continue for the Blue Eagles as the end of this era of Ateneo basketball is nearing its end. What’s next for the Blue Eagles? At the very least, the PCCL tournament gave us some answers to that question. It doesn’t create 100% comfort for fans as the players they’re losing are integral parts to this run of theirs, but there are blocks to build a new championship foundation on.